The ROFLCOPTER: Want to Attend the First Call of Duty XP Event? Want to Attend the First Call of Duty XP Event? 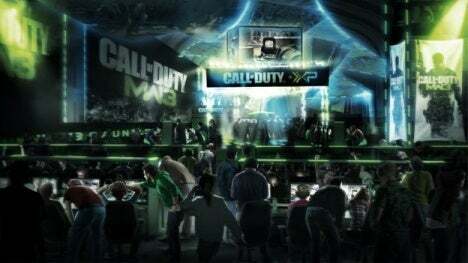 Recently, Activision announced the Call of Duty XP event coming September 2nd and 3rd in Los Angeles; it's complete with big money tournaments, live-action experiences, and even a chance to play Modern Warfare 3. IGN already gave away tickets on the Daily Fix, but now we have one last ticket to the show up for grabs on our Facebook page. All you have to do to is 'Like' IGN's Facebook page and leave a comment on the post about this article telling us why you should win. You have until Friday -- August 12th at Noon PT -- to enter. IGN will not provide airfare or a hotel room, but we can guarantee one ticket to this very exclusive event. Must be 18 or over and a U.S. resident to win.